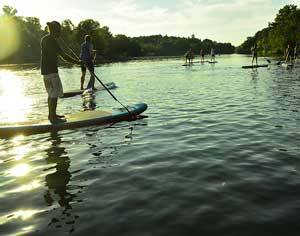 Paddle Berlin by Kayak – Start April 21. 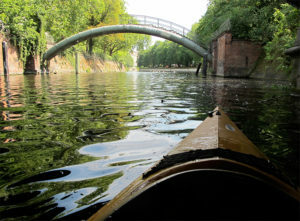 Enjoy the stunning waterscape of the legendary Landwehrkanal and the Spree River! Discover an unexpected oasis in the middle of the city caused by a switch of your perspective and the kind of movement. A REAL DAYDREAM! With the best equipment – comfortable kayaks, life vests, spray decks – and professionally guided in small groups we provide you an unique and safe experience. Lake Griebnitzsee is one of the most wind protected lakes in our region and therefore just made for standuppaddling. During the cold war devided by the iron curton it is now a mesmerizing mixture of nature, villas, gardens, the parcs and palaces of the cultural heritage of Potsdam. We offer you a range of the best SUP boards for beginners and experienced paddlers for rent and for sale as guided tours and courses. Here you see how to paddle in December.